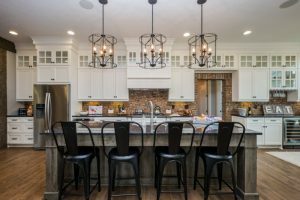 For those who love to read, the existence of bookcases or bookshelves in the house will be as tremendously important as a chair or sofa in a living room. 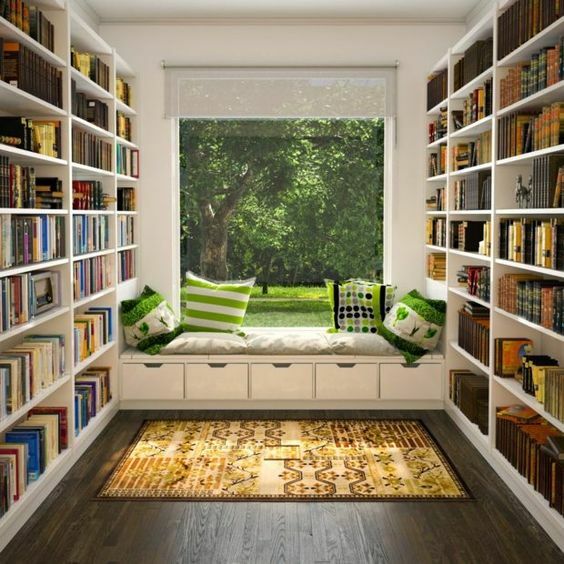 It is not only the place to store the books that is important but also the place where you would want to read your books. The perfect combination of the light and the seat is what also important. But first, let’s take a look at how your books can be stored in the shelves. 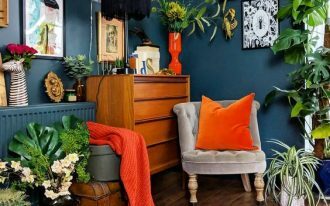 For those who love old classic home office will love old classic home library too. 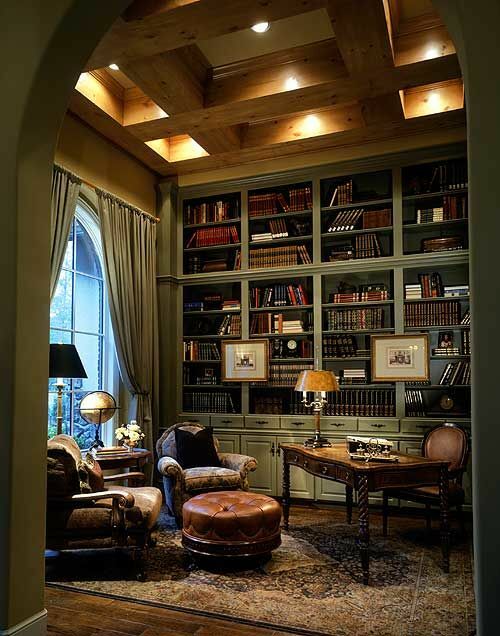 And here is one of the perfect examples of home library with its big and strong bookshelves in one side and chairs grouped in the middle just right in the place where the window light can help you read. Similar to the previous one, this one also depicts an old and classic library that used to be portrayed in the movies or university photos. 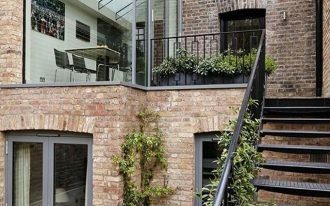 In this classic home library, you can see the old thick bookshelves on the one side. 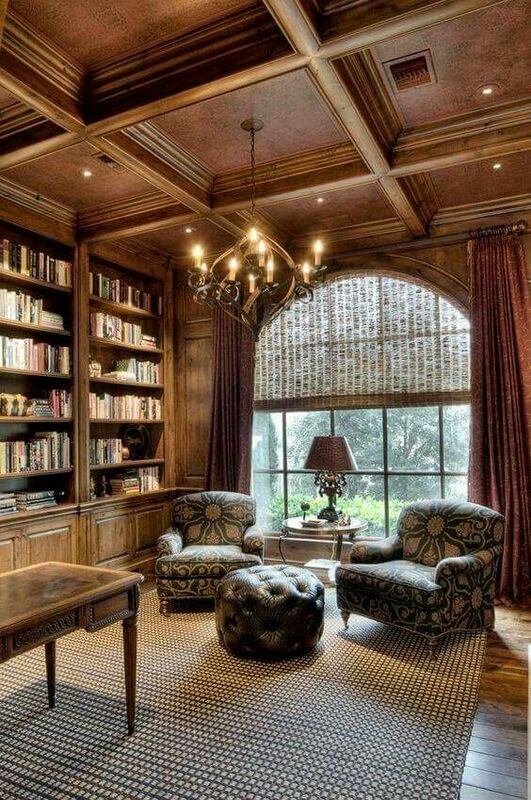 The leather chairs, ottoman, and the rug are the perfect pairs for this home library. 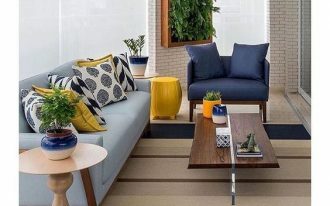 Next is quite different from the previous one where it emphasizes on the comfort of the reader: bookshelves that is not too far from the reach of your hand. 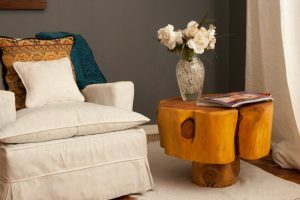 And, while on it, you can sit comfortably on the plush chairs with ottoman lighted by the light coming from the window. And if it comes the night, the lamp is still in the perfect direction: from the back of your head. Contrary to the previous bookshelves, this one here needs you to reach high above your head to put the book you’ve just read. 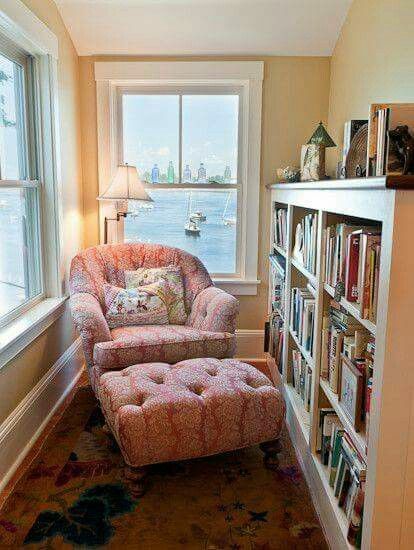 However, the similar thing is that you can enjoy reading just on the sofa near. 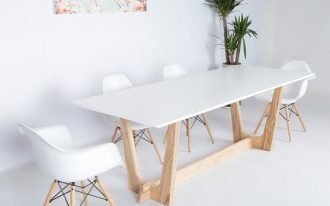 With several chairs, this is perfect for those who have reading club. 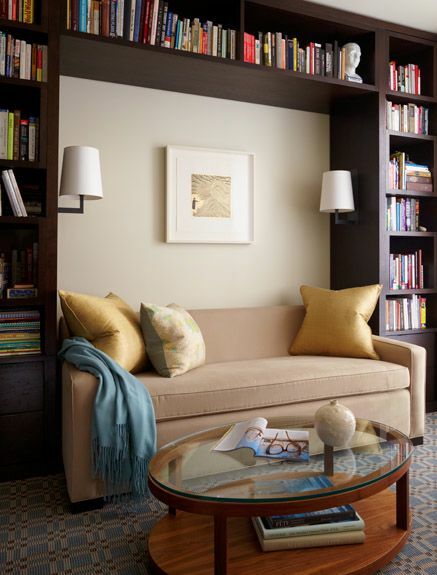 Similar to the one before, this one has sofa inserted to the empty part of the bookshelves that becomes a great reading nook with its sconces right above the head. Sometimes, when you read, you want to be able to change position from sitting to lying around or whatever you want to do. Well, when chairs can be quite inflexible, you can always try bench along that stretch along the bookshelves. 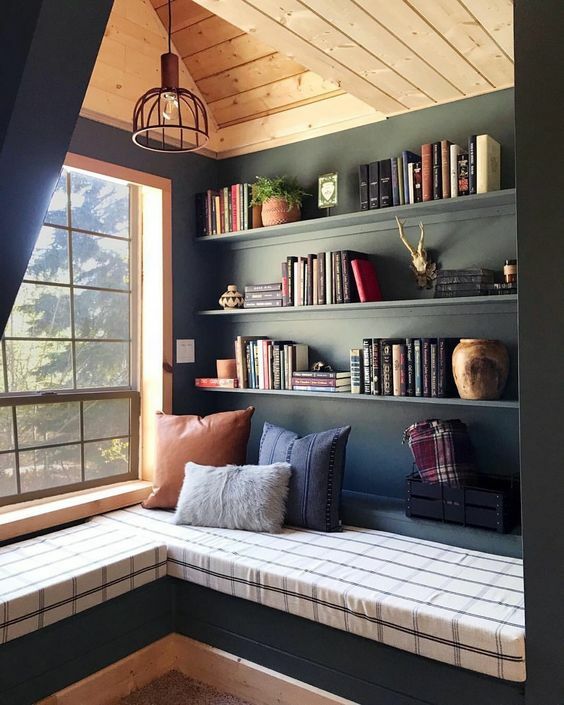 Just like other reading nook which usually has something to do with the window, this one also positioned near the window for a perfect lighting when you read. 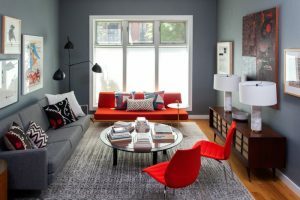 The bookshelves can be positioned on the right and left side of the room. Well, to make it to the next level, where you can put your whole body on stretch when you read too long, reading bed is a great solution too. This is also perfect for you who have children in your house that you want to read to. 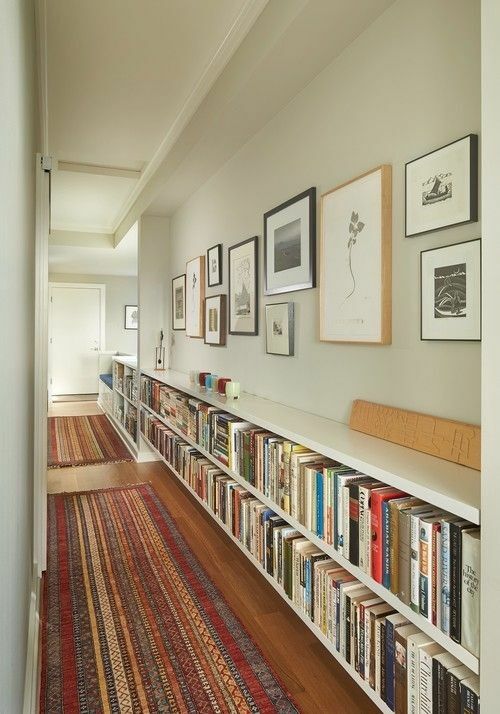 For those who have small space, hall is always a great chance to turn into library. 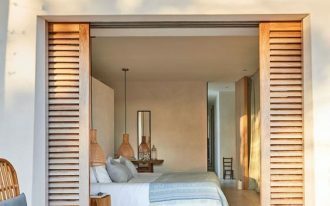 You just need to put narrow shelves on your wall and viola! 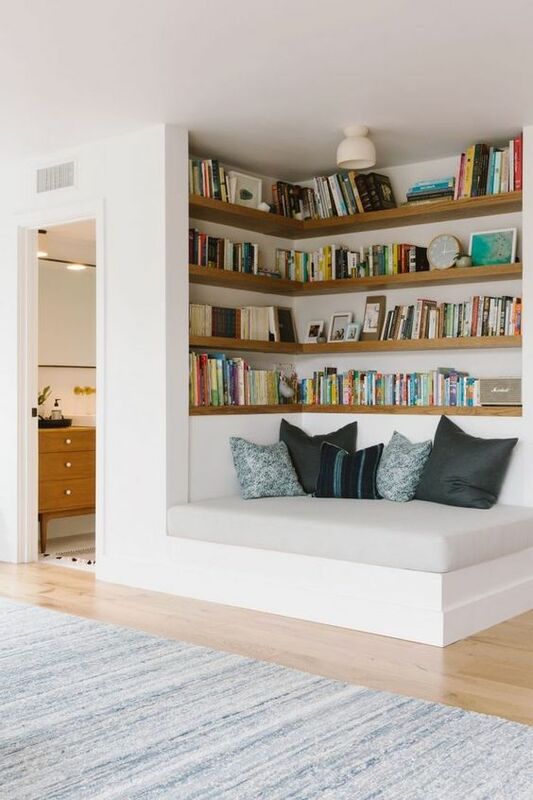 You can bring the entire wall to be your bookshelves. 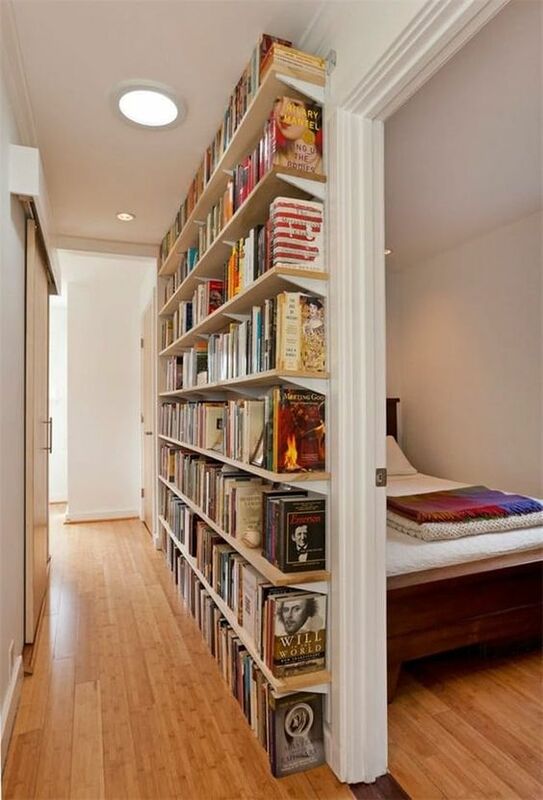 Still for those who have low space in their house, this kind of bookshelves can solve the problem too. If you don’t like having your wall too crowded, you can put the shelves low.